Infectious diseases are an ever present threat to humans. In recent years, the threat of these emerging viruses has been greater than ever before in human history, due in large part to global travel by larger numbers of people, and to a lesser extent to disruptions in the interface between developed and undeveloped areas. The emergence of new deadly viruses in human populations during recent decades has confirmed this risk. They remain the third leading cause of deaths in the US and the second world-wide. 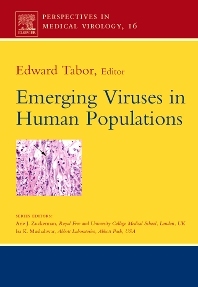 Emerging Viruses in Human Populations provides a comprehensive review of viruses that are emerging or that threaten to emerge among human populations in the twenty-first century. It discusses the apprehension over emerging viruses that has intensified due to concerns about bioterrorism.